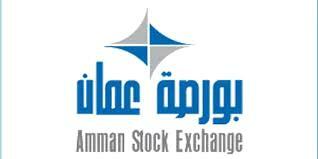 AMMONNEWS - The Amman Stock Exchange (ASE) closed Monday's session with 5.5 million shares traded through 2,442 transactions, with a trading value of JD5 million. The stock index dropped compared to the closing of the previous session with a negative change of 0.10 percent at the 1912 point. When comparing the closing prices of companies with traded shares, 29 witnessed a rise in their share prices, the shares of 40 others declined, while 35 others were stable.